Ben and Fred are very excited to currently be working on their new duet The Juggling of Science. 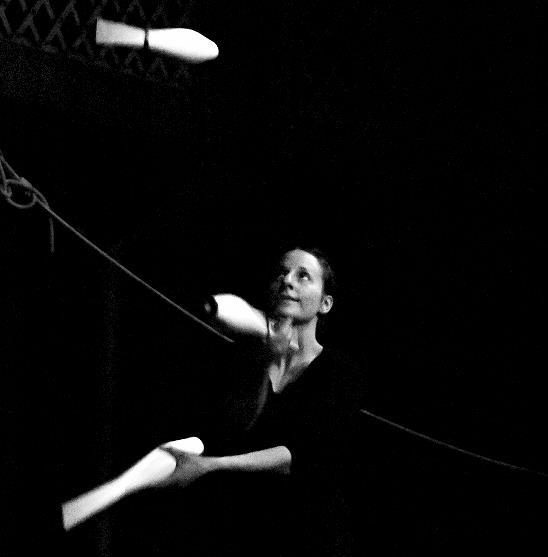 The work is a fusion of two separate worlds, a juggling routine which explains several key concepts in the exciting world of science. This piece is expanding on Ben’s solo routine (Here a link to it) which he created while studying at the National Centre for Circus Arts. The new duet is an explanatory and funny show for young and old and ends with an explosive finish…! Ben and Fred performed the duet for the first time as part of Tilted Circus Scratch Cabaret at Jacksons Lane Theatre last October followed by Resolution Festival in January 2019. For this festival they performed as part of a triple bill at The Place Dance School in Central London.